The thrilling adventure of The Heart of the Lion continues in The Lion Unleashed, Book 2 of this intense historical fiction series. With her son, King Richard the Lionheart, a prisoner of Germany’s King Henry, Queen Eleanor struggles to raise the steep ransom he demands. Henry holds all the leverage, and he’s forcing his stranglehold on the English crown. Deliver or Richard dies. Princess Joanna needs to keep Prince John off the throne, while staving off an expansion-hungry King Philip of France. Her only solution is to rescue her brother. But can one woman defy incredible odds to lead a small band of valiant knights to free her king? The Lion Unleashed chronicles Joanna’s perilous quest to infiltrate Henry’s domain, locate their imprisoned king then flawlessly execute a daring rescue. The forces opposing them, at times, are insurmountable. Secrecy is paramount–bravery and courage tantamount to success. Prince John will stop at nothing to uncover Joanna’s intent so he might destroy her before she can foil his play for the crown. Joanna and her men pledge their lives for their cause. But must it come to that to free their king? True courage arises not from the heart but from the very soul. Joanna and her men must reach deep inside if they are to succeed in their quest. Tense and action-packed, The Lion Unleashed shifts the Plantagenet battle from the verdant English countryside to the dark forests and impregnable castles on the continent. The Lion Unleashed is the second book in The Heart of the Lion series. It continues right where the last book leaves off (without much recap.) Therefore, if you have not read the first and want to read this one, you know what to do. Also, you are in for possible spoilers from the first book in this review. In this book, Joanna with the help of Rynhawker and Thomas plan to rescue King Richard. With Prince John and King Philip against bringing Richard home alive and King Henry impatient for his ransom, the trio has a lot of work to do. One thing I am surprised with is how Rynhawker got over his wife’s death. There was only one moment that really touched upon her death. If he loved her as he had hinted in the last book, I was expecting a little more mourning (either in intensity or length) before moving on. It would have also been nice to get a little more background on the few knights that appeared in this story. Prince John makes less appearances in the story than the first. Instead, the story mainly revolves around Joanna and her plans to rescue her brother – while trusting only a few. The plot moves along well. The story has action and some twists the characters must overcome. I think there should have been some mention of Eleanor sometime in the latter half of the book and what England was doing. The same goes for Prince John and the one knight. The story slightly veers from history and instead follows a little medieval folklore. [Just a heads up for the history buffs out there. This is, after all, a historical fiction.] The story ends with room for the next book (if there is one) just like the last one. Overall, I enjoyed the story. 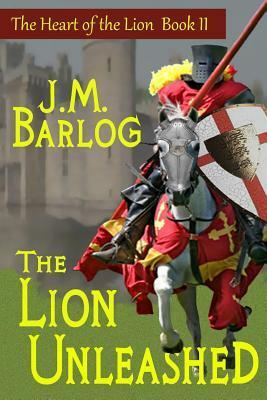 If you like medieval historical fiction with King Richard, then you should try this book. One woman’s courage will decide the fate of the English crown. 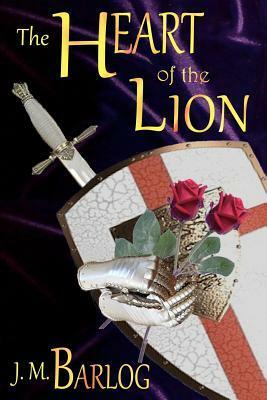 The Heart of the Lion is King Richard the Lionheart’s England at its most tumultuous. His kingdom teeters on the verge of a bloody war, with the victor taking the crown and death the punishment to the vanquished. The English countryside roils in the throes of political upheaval as King Richard sails from defeat in the Holy Lands to fight another war at home. A war against his own blood. The irascible and treacherous Prince John seeks to usurp the throne behind his brother’s back. But waylaid on his return voyage, Richard must fight to remain alive and free deep within his enemies’ lands, while Princess Joanna and Queen Eleanor struggle to uncover John’s growing cabal. Now only Joanna stands brave enough between her brothers. She must risk her life to save her mother and her king. For the prince vows to destroy any who dare step between him and the crown. The Heart of the Lion vividly portrays a woman whose courage is paramount to saving an entire kingdom. Non-stop action and intrigue unfold on both English soil and on the continent as a brother and sister fight to remain free and alive against their enemies. This engrossing story is a must read for all medieval enthusiasts. The Heart of the Lion is the story about King Richard’s trip back from the crusades, where he was captured and held for ransom. Back in England, Prince John tries to gain power of the throne by gaining supporters. Queen Eleanor and her daughter, Princess Joanna, both must try to help Richard without being caught by Prince John. The story is written in third person following the main characters. Richard is the strong king that history sets out. Coming back from the Holy Land, his ship crashes ashore from a storm. With only a few survivors, he must find a safe passage home to England. This doesn’t go as planned and that means trouble for the King. Prince John is very evil in this book. He uses whoever and whatever to gain a better grip on the crown. He keeps secrets and spies on his mother who is known to support his brother, Richard. Princess Joanna is a spunky girl for the time, who will do anything to help her brother back from the crusades. She does spying herself to see what forces Prince John has managed to acquire. Rynhawker is a knight that fought with Richard in the Holy Lands. He has come back home to his wife and young daughter, while also teaching young Thomas the arts and skills of knighthood. He is very loyal to King Richard and knows that one day he will have to stand by his King again to secure his crown. The story moves along well. There are some twists and turns in the story – nothing I was too surprised by. If you know the story about King Richard and Prince John (although I’m not a historian), the main events won’t be a big surprise. The story leaves off for the next book, which I will review shortly. One thing that bothered me while reading the book was the sudden jump in character perspectives. It wasn’t always separated/denoted with chapters or chapter breaks. Overall I enjoyed this book. If you like medieval history – especially with King Richard/Prince John/Queen Eleanor, you might want to take a look at this book.